England, 1876. Researchers are in a state of panic. 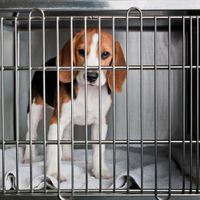 A bill to ban all animal experiments, except those certain to lead to knowledge useful in saving or prolonging human life, is moving rapidly toward legislative approval. According to historian Richard French, the editor of the British Medical Journal mobilized the medical community, and led a “spectacular deputation of several hundred medical men”—including the discoverer of the difference between typhus and typhoid, physician William Jenner—to the Home Office. Their evidence led to rewriting the bill to allow the use of animals in experiments for the advancement of physiological knowledge and the alleviation of either animal or human suffering. This account offers a lesson for today’s researchers, physicians, and patients. 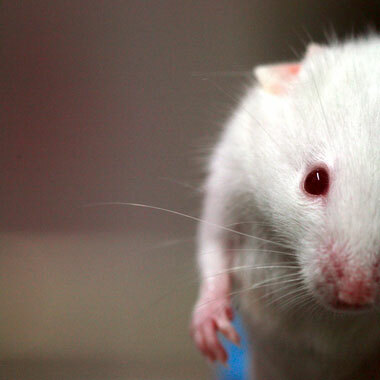 Arguments made by researchers failed to stem the tide of antivivisection in Victorian England. It wasn’t until the medical profession intervened that concessions created sane public policy that ultimately became the law. Although the use of animals as research subjects enjoyed nearly uniform approval 40 years ago, today only about half of Americans support the practice. 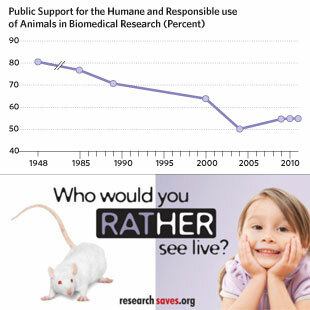 We believe that this decline in support is because much of the public doesn’t understand the connection between animal research and personal health. Organizations that advocate for research also need physicians to work alongside researchers to review and critique middle-school health texts. Too many of those texts present only the results of biomedical research, leaving out its process of discovery through scientific method and its dependence on animal models. The connection between animal research and personal health can’t be championed only by researchers, who have been progressively demonized and have become the target of extremists. Rather, physicians, who know well how essential basic animal-based research is to the well-being of their patients, are in a better position to make the argument. The public must come to understand that there is no “other side” to the fact that animal research continues to improve our health. When legislatures come under pressure from animal-rights extremists, doctors and nurses must testify. When the media prepares to report biomedical research advances, doctors must comment. When the drug company Bayer puts teen rocker Nick Jonas on stage to advertise diabetes management strategies, doctors must insist that the performer also inform young people about the role lab animals played in the research that led to those treatments. Doctors working together could step up where health organizations, research foundations, and charities fear to go. Ask any of those groups to sponsor pro-research ads and they will take a pass, concerned about losing contributions and exposing their employees to harassment. Finally, medical societies need to work more effectively with the media. A recent headline in many newspapers across the country, announced, “HIV/AIDS Pandemic Hits 30-Year Mark with Hope.” Not a word in this long story pointed out that the research was conducted, in very large part, using animal models. Here’s an example of how to face the problem squarely: when the Oregon Health & Science University announced an advance in developing an AIDS vaccine, the university followed that announcement by releasing an op-ed piece, “Behind medical breakthroughs: animal studies,” describing the role that nonhuman primates played in the relevant research. It is important, moreover, to distinguish “testing” for established toxicities from “research.” Only research can discover previously unknown pathways that either cause drugs to have ill effects or that might allow drugs to beneficially reach new targets. 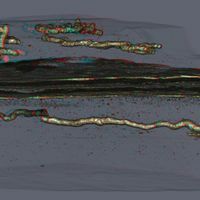 For research that requires the complexity of an intact physiological system, it is likely that we will continue to rely on animals for the foreseeable future. 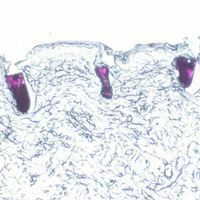 It’s true that in some applications, researchers have already replaced animals with cell cultures and other technologies. 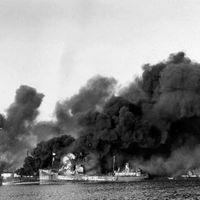 The law requires doing so whenever possible, and most scientists subscribe to even higher standards of humane treatment. It’s also true that drug testing for safety and efficacy may ultimately become more heavily cell-based. Microdosing or “phase zero” studies in human volunteers, for example, may one day reliably allow assessment of how drugs are distributed throughout the body. First, however, it must be demonstrated that this approach will reveal drug effects on the cellular level without being toxic to the whole body. James V. Parker, a biomedical ethicist, and P. Michael Conn, a senior scientist at the Oregon Health and Science University’s Oregon National Primate Center and a professor in the University’s School of Medicine, coauthored The Animal Research War (Palgrave Macmillan, 2008).